Following high profile legalisation in territories around the world (for example Canada, some states in the US and limited medicinal allowability in the UK), industry and financial institutions are recognising the commercial potential of cannabis. And where there is commercial potential, there will be a demand to protect innovations made to capitalise on the market. However, given that recreational cannabis is presently illegal in many places (for example, most places in Europe and federally in the US), can you patent something which is illegal? Additionally, since cannabis is natural and has been known since ancient times, can you patent something which is so well known? A quick search on a global patent database indicates over 7000 granted patents which include the word cannabis, including over 1000 in Europe and UK. Whilst this is a very rough metric (such a simple search will include patents which are designed to prevent or detect cannabis use), it does suggest that government Patent Offices around the world are granting patents to something which is in some way illegal in their country. So, what’s going on here? UK and European legislation prevents patenting of immoral inventions or inventions that go against “ordre public”. Cannabis is illegal in most places in Europe and there might be some who would consider drug use per se to be immoral. 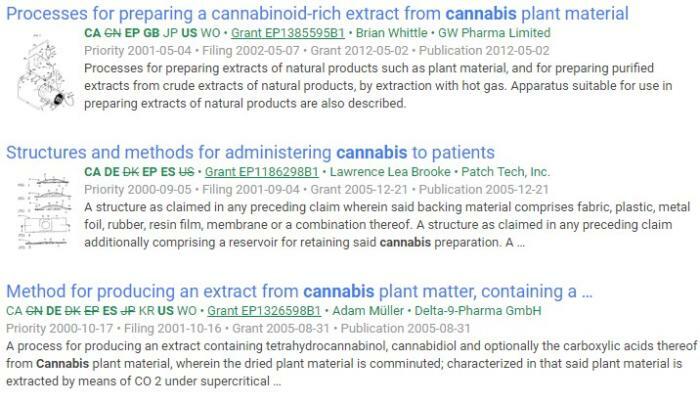 So, why are patents granted to cannabis related products. Both UK and European legislation have a provision that illegality should not mean that you cannot obtain a patent. The rationale is that the patented product could be made in a country where using it was illegal, but exported it to somewhere that is legal. The guidance given to patent examiners is that patent applications are only morally objected to if public opinion would find a patent “abhorrent”. For example, cluster bombs, and anti-personnel mines. As such, in the UK and Europe, patent applications are rarely objected to on immoral grounds, and cannabis being illegal or banned from medical use would not stop someone obtaining a patent to it. You cannot patent a discovery. The cannabis plant, with its inherent chemical constituents, occurs naturally. A person would not be able to patent the naturally occurring plant or the chemicals found naturally in the product. However, that person would be free to patent methods of extracting or using chemicals from the plant, methods of making synthetic versions of those chemicals or making other chemicals derived from those natural chemicals. Arguments would need to be made that these chemicals or uses have industrial applicability, for example having a plausible medicinal effect. Many governments do not recognise the medicinal effect of cannabis constituents or only recognise the medicinal effect of cannabinoids (such as the US government). However, this has not followed through to various patent offices, which have granted companies protection over a variety of cannabis derived pharmaceuticals. 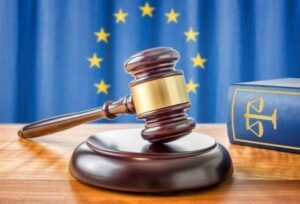 Additionally, the law covering the ability to patent plants obtained by means of an essentially biological process is under review in Europe. This likely means that, in the future, it may be possible to obtain a European patent to particular plants created by cross-breeding. Therefore, we might soon expect to see new varieties of cannabis plants patented in Europe in the future. Due to the historical and present illegality of cannabis in many places, there has been limited legitimate commercial exploitation of cannabis. As such, there are limited prior published patent documents which discuss cannabis. Given that patent examiners mostly use prior published patent documents to object to the newness of patent applications, cannabis related patent applications can be granted relatively easily. However, this can be a double-edged sword. 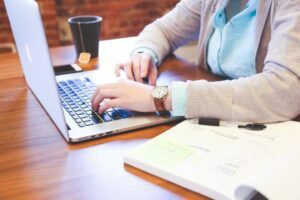 Whilst there may not be published patent documents, there is still plenty of public disclosure, such as in magazines, websites and folklore, which could be used to knock out a granted patent. As such, cannabis related patent owners may be reluctant to sue infringers, for fear of having their patent knocked out. This means that cannabis patents may lack enforceability. Whilst in Europe or the US there may not be an issue with patenting cannabis, you might be concerned that less lenient jurisdictions would presently object to patents which mention cannabis. If you have developed new cannabis paraphernalia and wish to obtain patent protection in less lenient jurisdictions in the hope that cannabis laws become relaxed in the future, it may be worth omitting mention of cannabis in the patent application. If the product could work equally well with tobacco, for example, then tobacco could be mentioned in the patent application instead of cannabis. Unless of course there is a specific technical advantage to the product which is only apparent when used with cannabis. Cannabis related products are certainly patentable in many major markets worldwide, although they can throw up some unique patenting issues. Some initial strategic thought and discussion is therefore recommended before rushing to file your patent.